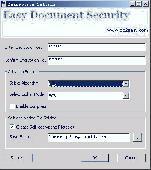 128 bits SSL - FTP sessions can be protected by industry security standard. Unibase by DMAC is a PCI (Payment Card Industry) Data Security Standard compliant, powerful data entry and image entry program constantly being updated. This evaluation software download package includes both the fully functional menu user interface (MUI) and graphical user interface (GUI) Unibase by DMAC and Unibase Imaging. Adaptive Security Analyzer combines conventional filtering and expert rule configuration capabilities with self-learning and neural algorithms to identify and provide insight about known and new threats hidden in user and system data. The new ProtectStar Data Shredder 2.0 ushers in an intelligent generation of solutions for secure deletion of sensitive data. This compact and user friendly software was designed with the data deletion needs of both business and private users. The Authorize.Net Customer Information Manager (CIM) allows you to store your customers sensitive payment information on our secure servers, simplifying payments for returning customers and recurring transactions. BitCleaner uses a unique, highly intelligent method to remove this unwanted information without leaving a trace. Second generation of WAP micro-browsers fully compatible with your Pocket PC. Genie Eyes-Only is a professional easy-to-use security software that safeguards valuable data and prevents unauthorized access to confidential information using multiple levels of the thoroughly-tested Advanced Encryption Standard (AES) that is used.